Tackling issues from cultural traditions and linguistic complexities to distribution difficulties and piracy, a two-day conference in Paris looks at a major region’s market conditions. The publishing ecosystem in the Arab world remains obscure to many Western publishers. 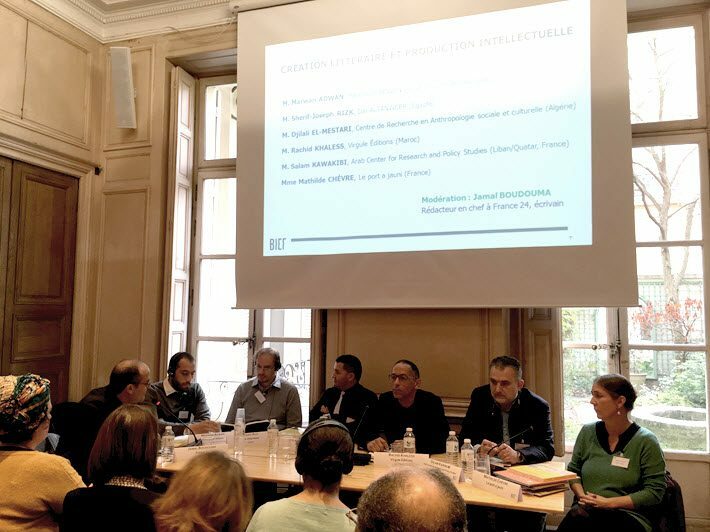 And during two days of meetings this month of French and Arab publishers—an event organized by the Bureau international de l’édition française (BIEF) at the Centre National du Livre (CNL)—it seemed obscure to some Arab publishers as well. 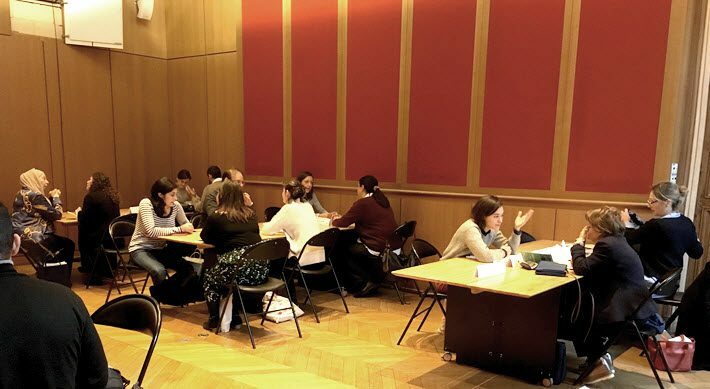 Strong attendance at the Rencontres franco-arabes de l’édition showed French publishers’ interest in becoming more familiar with their Arab counterparts—who interacted with each other on the first day, and in meetings on the second day with French publishers and agents. The event was a project initiated two years ago under Françoise Nyssen, the former minister of culture. Pierre Myszkowski and Laurence Risson of the BIEF were given the go-ahead and budget to invite 20 publishers from the Maghreb (North Africa), the eastern Mediterranean, and the Arabian Gulf countries to discuss production and distribution of books in the Arab world. 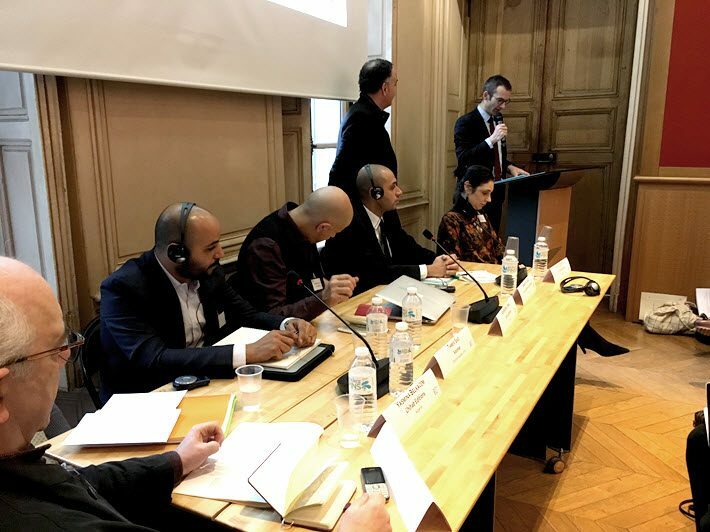 The BIEF and CNL are to focus on the Arabic language in coming years, and on the first day of the meetings Vincent Monadé, president of the CNL, announced that funding of up to 70 percent would be available for French-to-Arabic and Arabic-to-French translations. The BIEF is also to organize a fellowship in 2019 for approximately 10 Arab publishers. 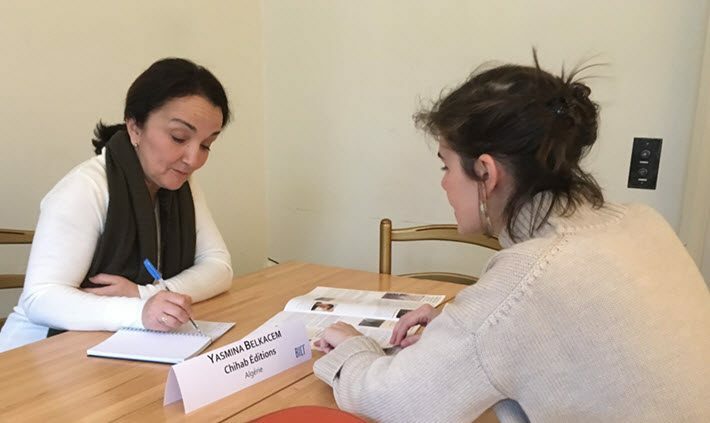 Yasmina Belkacem of the Algerian publisher Chihab Editions gave an overview of the company’s market and its publications, which are found not only in Arabic and French but also in the Berber language Tamazight. Algeria is a country in which publishing was a state monopoly after independence: it wasn’t until 1988 that independent publishers were founded there. As an oil-producing country, its economy is dependent on oil prices, and with the crash in 2014 many publishers went bankrupt. There are some 200 now. With one in four Algerians younger than 30, literature for young people and students is important. Kenza Sefrioui of the Moroccan En Toutes Lettres said that more than 80 percent of books there are published in Arabic, the rest in French. Access to books is difficult in Morocco, and there’s no public policy concerning books. There are only 600 public libraries for a population of more than 35 million people and a network of bookshops–of which only a few hundred are professional. That said, people do read, said Sefrioui, noting that book clubs are created on social media, and one organization that holds concerts takes books as payment in order to create rural libraries. Ahmed Rashad of the large Egyptian publishing house Al Dar Al Masriah Al Lubnaniah said that habits in the Arab market are changing and that he’s seeing a renewed interest in fiction. Ebooks have only started to make an appearance, he said, but sales of audiobooks are increasing. Karim Ben Smaïl of Céres Éditions in Tunisia said the structural problems there resemble those in Algeria and Morocco, but that in Tunisia the offer is far smaller. He was in Paris to talk about the decline of French-language books, which he publishes. “This richness must not disappear…we must react,” Ben Smaïl told the conference. He said that the International Organization of La Francophonie needs to get involved. And he applauded the practice that some bestselling Francophone authors from the Maghreb such as Kamel Daoud have put into place, keeping their language rights for the Maghreb so that they can be published in editions in their own countries. Ben Smaïl said that he spent 15 years trying to acquire rights from Gallimard to publish a book by a Tunisian author. Tamer Said of the Emirati children’s publisher Kalimat said that in the Gulf there are 100 publishers of which 10 are active. The market is small, because in the Emirates, English is used in schools and “parents prefer books in English.” There’s little investment in the book market, he said, and only 15 percent of books sold in bookshops are in Arabic. Some publishers said that the Arab Spring paved the way for greater freedom of speech, and some said they feel that production is still too weak. But Sherif-Joseph Rizk of Cairo’s Dar Altanweer, said there isn’t sufficient intellectual production in the Arab world. “The Arab reader can’t be interested in books if the offer isn’t big enough,” Rizk said. Samar Abou-Zeid of the young Al-Karma Publishers said 20 percent of her books are translated from languages including Russian, English, French, Japanese, Spanish, and Norwegian. Translation projects are only possible for her if there’s funding available. Sofiane Hadjadj of Éditions Barzakh is actively involved in co-editions and partnerships with Actes Sud, and other publishers in France and Lebanon. “We try to publish French-language books that are interesting to Algerians and also to French publishers,” Hadjadj said. Regarding translations, Hadjadj pointed out that the Arab literary landscape is evolving and that Arabs living in exile now write in English, Swedish, or Italian, for example. Monia Masmoudi of the Tunisian Sud Éditions took over from her father five years ago. She said she discovered a market with “extraordinary potential” but because of problems with export and distribution, the only way to sell her books was at the various book fairs. Dar Altanweer’s Rizk—whose company partially gets around the distribution problem by printing in Beirut, Tunis, and Cairo—brought up the serious and ongoing problem of piracy in the Arab world. The publishers also agreed on a need for a common database with a catalog of all Arab-language books, including how to get access to them. Hasmig Chahinian, who buys children’s books in Arabic for the National Library of France (Bibliothèque National de France, the BNF) said her database is accessible through the library’s site La joie par les livres (Joy From Books), and books in Arabic for children are often featured in the library’s online magazine for children, Takam Tikou. The BNF is working with a library in Munich, she said, providing recommendations for books in Arabic to Syrian refugees. Rashad of Egypt’s Al Dar Al Masriah Al Lubnaniah said in closing remarks that although he and his colleagues had painted a rather dark picture, it’s important for them to share their experience. He said he’s hopeful and sees more stability coming in the future. His company has done well by marketing on social media, he said. Ben Smaïl of the Tunisian Céres Éditions said that print-on-demand (POD) machines in bookshops could offer a solution for distribution problems to Europe. Dar Altanweer’s Rizk said he’s seeing positive growth while continuing to battle piracy. He recently bought the rights to four Gabriel García Márquez titles which he said have been pirated in Egypt for 30 years. And in Lebanon, said Dar Al Saqi’s Mouallem, publishers have formed a group in which they can discuss problems for the “well-being” of publishing. The Arab publishers agreed that meeting to discuss these issues is important and beneficial. Sefrioui of Morocco’s En Toutes Lettres said that she regularly attends meetings in Paris of the International Alliance of Independent Publishers and that the Maghreb-Orient des Livres–a public book fair held in Paris each February–might be an event that could include professional meetings. More from Publishing Perspectives on publishing in Arabic and the Arab world is here.